In honor of Father's Day this upcoming Sunday (June 19), it is only necessary that we round up some of the sweetest photos of celeb dads with their kids (think of it like scrapbook, only with more hashtags and less cheesy stickers). One of the most heartwarming images in Hollywood is seeing photos of star parents with their children. You know, dressing up for Halloween, walking the red carpet, sharing a sweet snuggle on the couch, looking at each other lovingly, most likely accidentally embarrassing them somehow... the camera captures it all. And now, it's time to honor the celeb dads who make these moments and memories with their kids last a lifetime. This Father's Day, forget the tie. Forget the lawnmower. Forget the brand-new barbecue grill and those inevitably lame dad jokes (sorry, dads everywhere). Instead, peep the sweet celeb father-child bonding moments that will give you and your dad the warm fuzzies — I promise. From Chris Pratt to Taylor Hanson, Barack Obama to Kanye West, David Beckham to Louis Tomlinson — and every adorable star father in between — check out 19 photos of celeb dads with their kids, guaranteed to warm your heart. Peep the sweet photos below. Chris Pratt and son Jack make a perfect father-son team. And combined with wife/mom Anna Faris, they make the perfect family. Just look at how they look at each other! My heart can't take it. David Beckham is so dedicated to his four children with Victoria Beckham — Brooklyn, Romeo, Cruz, and Harper — that he has their names tattooed on his body. Here he is with Brooklyn, just being a regular ol' embarrassing dad. Louis Tomlinson may be a relatively new dad to son Freddie, but he's an adorably sweet one all the same. The father-son bonding between JT and son Silas is real. 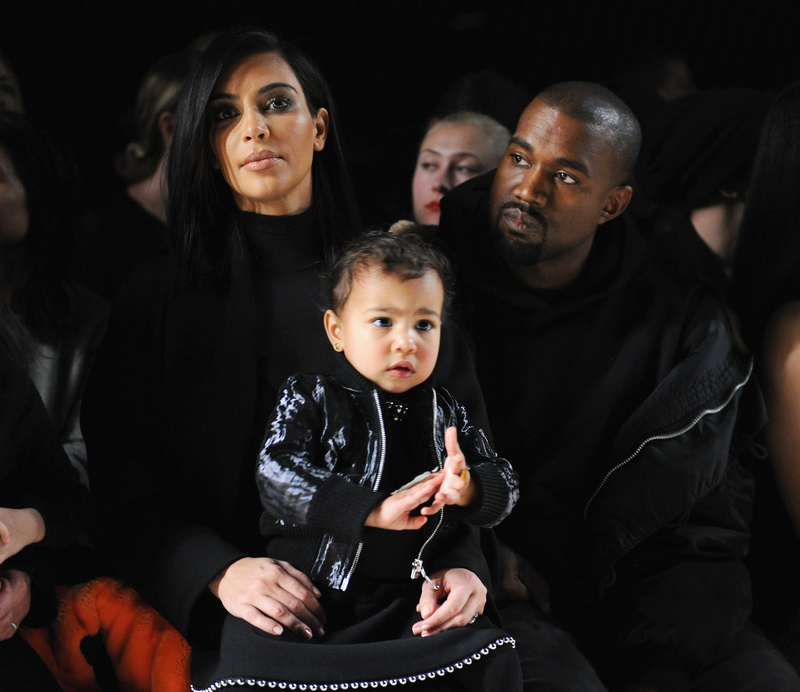 Only little North can bring out a smile that big from Kanye West. Fact: NPH and David Burtka have the cutest family on earth. The couple's twins, Harper and Gideon, are fixtures on both fathers' Instagrams and could not be any more precious even if they tried. Jay Z holding Blue Ivy as the two honor Beyonce — it doesn't get any better than that, folks. Kevin Zegers' Instagram is filled with pictures of his adorable twins. The New Girl star lovingly holds his daughter Lily at an event in L.A.
#DemBabies are all grown up — and clearly get their goofy side from dad Nick Cannon. Ava Phillippe gave a sweet shoutout to her dad on Father's Day. Here's the whole Cyrus clan with papa Billy Ray. Josh Duhamel and son Axl Jack are pure joy. Barack Obama may be the President of the United States, but to daughters Sasha and Malia, he's still mainly dad. Taylor Hanson is in heaven with his family of seven — he and wife Natalie are the proud parents of Ezra, Penny, River, Viggo, and Wilhelmina. This family could not get any more picture-perfect. Nothing on this earth is more adorable than Channing Tatum and his daughter wearing matching onesies. Jason Biggs and son Sid rock the matching eyewear and reading material. Nick Lachey in a Buzz Lightyear costume? All I can say is: Parenting — you're doing it right. Sometimes the best pictures aren't the ones that are posed, but the ones that capture true moments of love and laughter. Happy Father's Day to all the celeb dads out there — and all of the regular dads, treating their kids like royalty.